I decided to write this post after reading a question on StackOverflow, where the OP was asking for recommendations to simplify his IoC setup code – to make it more readable and also to prevent runtime errors when resolving instances, whenever a change is made. I feel his pain. Anyone that used and configured an IoC container such as Unity knows how easy it is to break things when you add or change an existing configuration. So, how to detect if things are broken until it’s too late (runtime errors)? Writing tests, obviously. In this post I’ll show you a quick and simple way to test your dependencies using Unity IoC container. Please note that the Init() method returns the IoC container – you’ll need it in the unit tests when trying to resolve the instances. 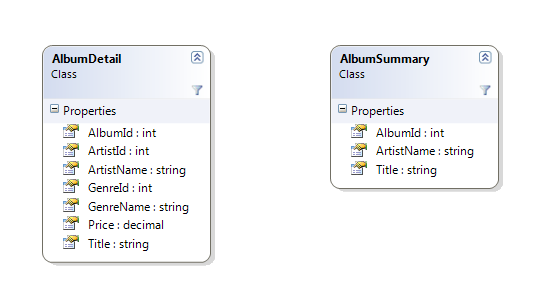 The constructor takes 2 optional parameters (appSettings and connectionStrings), which can be used for testing purposes. If no values are provided it will use the values from the configuration file. It’s just as simple as that. Given the registered type and the instance name of the dependencies, I can try to resolve them. If the instance is null or an exception is thrown the test will fail, which means that there is something wrong with our Bootstrapper. Also, I check if the returned instance has the expected type. Some tests failed because I forgot to add a configuration file with the settings used by both the CurrencyApiClient and Repository. Test for IShoppingCartService fails as well because it uses both dependencies. All good now. As you can see, there is a test for every single type/instance name. You should add as many unit tests as possible to your code – IoC setup is no exception. Also, these tests do not exclude the usage of other type of tests such as integration or smoke tests. My article is a good starting point, but this might not be enough. For example, if you have ASP.NET MVC or ASP.NET Web API applications, you should test your DependencyResolver in order to ensure that all controllers are being instantiated correctly (i.e. without throwing exceptions). Nothing is more annoying than a unit test that fails without clearly explaining why. More than often, you need to set a breakpoint and start up the debugger to be able to figure out what went wrong. (…) That’s why we designed Fluent Assertions to help you in this area. Not only by using clearly named assertion methods, but also by making sure the failure message provides as much information as possible. I completely agree, sometimes you’re just wasting too much time trying to figure out what went wrong. I have to admit that some of the assertion messages provided by NUnit are not great, so I decided to run some tests and compare the messages between these two libraries. I’ve just watched the Agile at Microsoft video, that shows how the Visual Studio Team Services (VSTS) team at Microsoft adopted an Agile mindset and culture. The whole video is interesting but there was one item in particular that caught my eye, which is named the Bug Cap. The Bug Cap is a simple strategy to keep the bug count low, in order to preserve the software quality. In other words, if your bug count exceeds your bug cap you stop working on new features until you’re back under the cap. Let’s suppose that the bug count at some stage is 30 – this means that the team should stop working on new features until the bug count is less than 25. I’ve heard it many times before, and I bet you’ve heard it too. I was unfortunate enough to work for companies where PMs and other people had this mentality, even giving the impression that unit tests were a waste of time. “Just do it quick and dirty” – this was a very common sentence in one of the last companies I worked for. A lot has been written about unit tests in the last 15 or 20 years, and the advantages should be obvious by now – you can refactor your code with confidence without the fear of breaking existing functionality, you can run unit tests as part of an automated build, and so on. But there are disadvantages as well – you do need to spend some time to write the test and debug the piece of functionality you’re testing, as obvious. This is usually the excuse given for NOT writing unit tests. But the truth is that we need to test the functionality somehow – it’s not acceptable to write a piece of code without testing it, right? You simply have to test your code, one way or another – even if you don’t use unit tests. That leaves me with another question – from a development perspective, do you think that the alternatives ways to test your code are faster than writing a unit test? I don’t think so. I still believe that unit testing is the fastest way to do it, if you have a decent enough experience with it (you don’t need to be an expert, though). Let’s analyse the following scenario below. So let’s examine some of the different ways we could test the discount functionality. In this scenario you basically need to run the website and the API, and navigate to the page where the discount is being displayed (e.g. view shopping cart). This means that you might eventually need to login, search for a product, add it to the shopping cart and then view the shopping cart in order to check if the discount is correct or not. Also, you need to do it for each customer type. As you can imagine, this is not the most efficient way to test this functionality. We need to compile and run both the website and the REST API (authenticate user, etc). This is more efficient compared to the previous example (testing the UI) because you can skip all the steps mentioned before and invoke the service using a REST client such as Postman or SoapUI. You still need to create sample HTTP requests that might include HTTP headers (content type, authorization, etc), HTTP method and message body (JSON request object). Depending on the service, it might take a while to configure the requests for each customer type. Also, we need to compile and run the REST API. Remember that in this scenario all we want to do is to calculate the discount for each customer type. This is one of the simplest ways to run the test. There’s no need to use the UI to get to the page where the discount is displayed and there’s no need to create HTTP requests in order to invoke the API, i.e. we can test directly the discount functionality using .NET code. Also, console applications are faster to compile and run compared to an ASP.NET website. It’s basically as simple and fast as creating a console application – just add add your unit tests to a class library and you’ll be able to run the tests in a few seconds, using Visual Studio built-in functionality or a tool such as Resharper. Saying “we don’t have time for unit tests” is deceiving. Giving that we need to to test our code somehow, ask yourself if the alternative to unit tests is easier and/or faster (creating a sample console app to run some tests, etc) – I’m pretty sure that in most of the cases the unit testing is the better option. Implementing a basic IoC container using C#, step by step. Select method is used to project each element of a sequence into a new form, i.e. it can be used to map a collection of one type to a collection of another type. In this article I’ll show you a simple approach that will allow you to reuse the code used in the Select method. There is a problem with this approach – if you need to query the same collection but using different criteria you have to duplicate the code inside the Select method. The previous solution solves the code reusability problem, but there’s still a tight coupling between components. Abstractions should be used to implement loose coupling between components – in this case, to abstract the mapping code. My name is Rui Jarimba and I was born in Madeira island, Portugal and I currently live in Lisbon. I’m working as a .NET software developer since 2005.